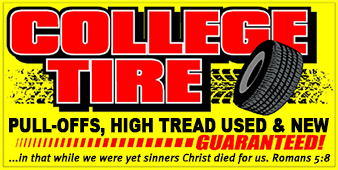 Purchase Tires | College Tire, Inc.
College Tire is determined to provide our customers with the highest quality tires available. With a wide variety of brands in both new and used, our options are extensive. We with the option to order anything we do not have in stock. However, the majority of our inventory consists of used tires. 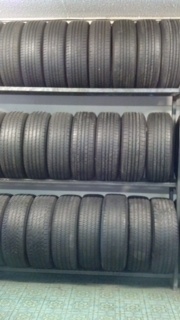 We offer two separate tread depths in our used tire selection. We call these two tread depths “grades” and we carry Like New (tires with 80-90% tread remaining) and Medium grade (tires with 40-70% tread remaining). With all the options listed, we can generally find any tire for any budget!